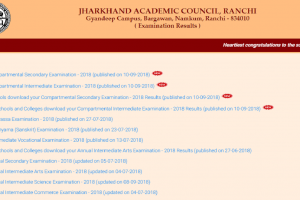 However, due to huge traffic, all official websites of JAC results 2019 for Class 8 were not working at the time of writing this report. According to reports, about 5.5 lakh candidates appeared in the examination this year. 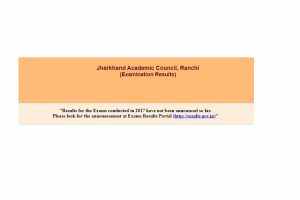 The results for class 10 and class 12 compartmental examinations are available on the official websites jac.nic.in and jacresults.com. 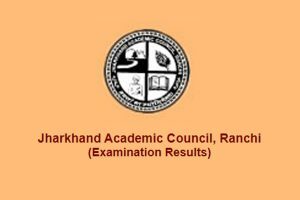 The Jharkhand Academic Council has declared the Jharkhand JAC 12th Arts results 2018 on the official website jac.nic.in. Candidates willing to check their JAC Results 2018 have to visit the official website and follow the instructions to check their results online. 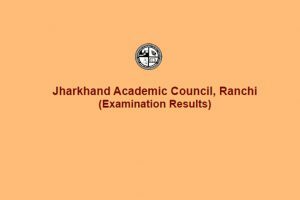 Continue reading "JAC results 2017 for Class 10th to be declared at jac.nic.in, jharresults.nic.in"